Before becoming a self- described high energy comic, Chris earned a Bachelor’s degree in Psychology to impress his mom’s friends, and a Doctorate in Physical Therapy to impress his Moms friend’s Moms. He is a regular at all of the best comedy clubs in New York City, has performed at all of the top comedy clubs in the country, and has somehow found time to play over 20 colleges in the past year. You can catch Chris all over MTV as he is a current cast member on MTV2s hit show Guy Code. You can also see him featured on MTV’s Girl Code, Off the Bat and Guy Court. 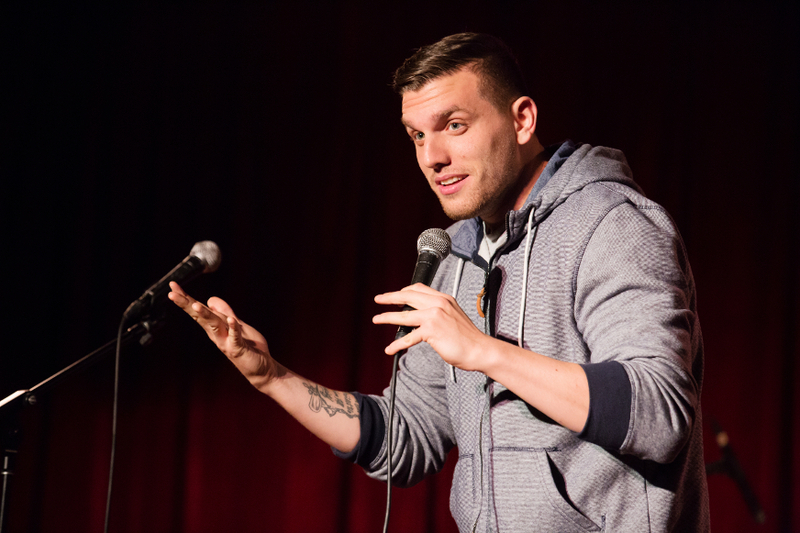 Chris was selected from hundreds of comedians across the country to be one of Comedy Central’s Comics to Watch as part of the 2012 New York Comedy Festival as well as a New Face of 2013’s Montreal Just for Laughs Comedy Festival. In June of 2013, Chris made his network television debut on The Late Show with David Letterman and in June 2014, his half hour comedy special debuted on Comedy Central. Chris has been heard on Sirius XM radio, been featured in multiple national Nike commercials alongside JB Smoove, and had the opportunity to perform at Bud Light’s Whatever USA in Colorado this past year. Out of all the commercials he has done, however, he is most proud of the one where his left elbow was featured on a National Subway commercial. It’s a good elbow. He would know. He loves elbows.